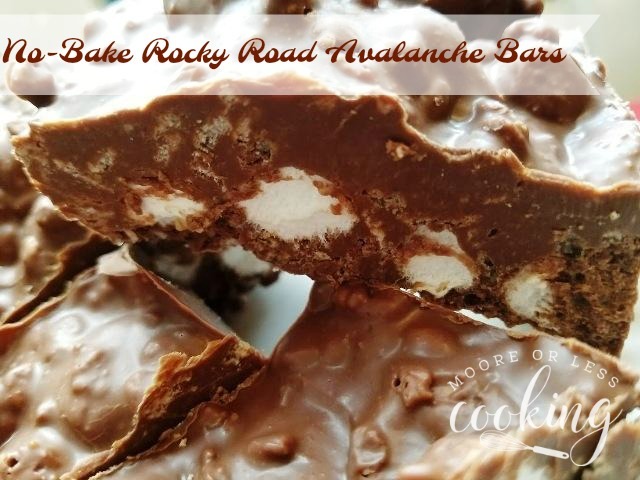 Delicious No-Bake Rocky Road Avalanche Bars require 7 ingredients and can be made in under 25 minutes! We had our annual Halloween Pumpkin Carving party and I thought that these no bakes would be great for our get together. The kids had fun putting them together. When the pumpkins are finished being carved these treats are ready. They were a hit! 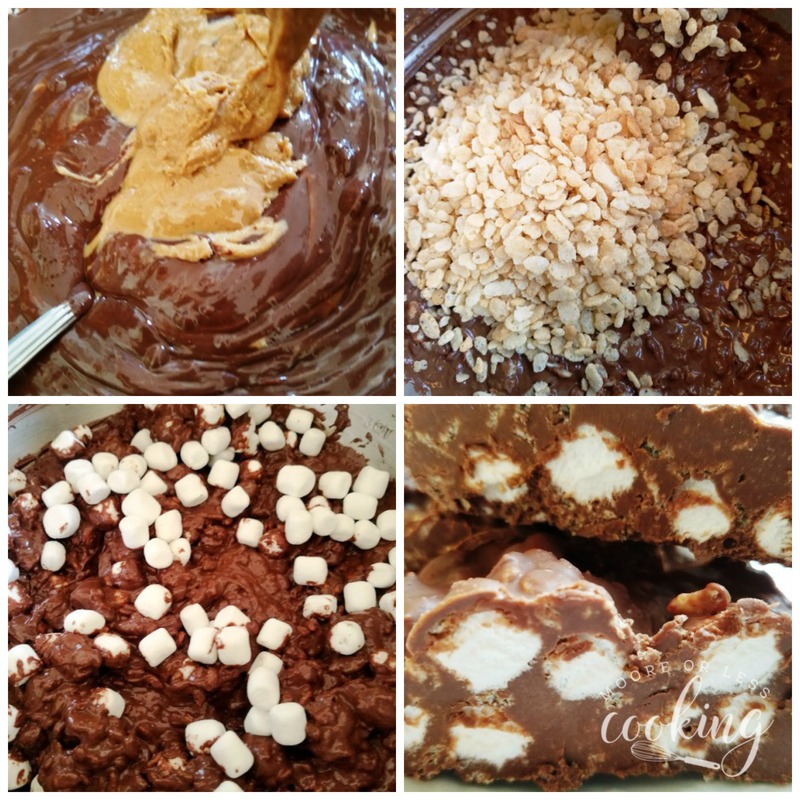 Chocolate, Peanut Butter, Rice Cereal and Mini Marshmallows! 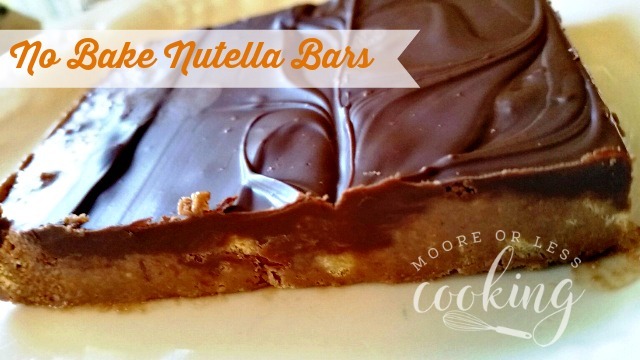 What more could you ask for in a No Bake Bar?! Donna and Chad Elick are the creators of The Slow Roasted Italian and authors of The Simple Kitchen Cookbook. I met Donna and Chad on Facebook when I first started blogging in 2011. Wow, I can’t believe it’s been 6 years! I love their recipes and Facebook page. I am so excited about their cookbook! Get your copy here. 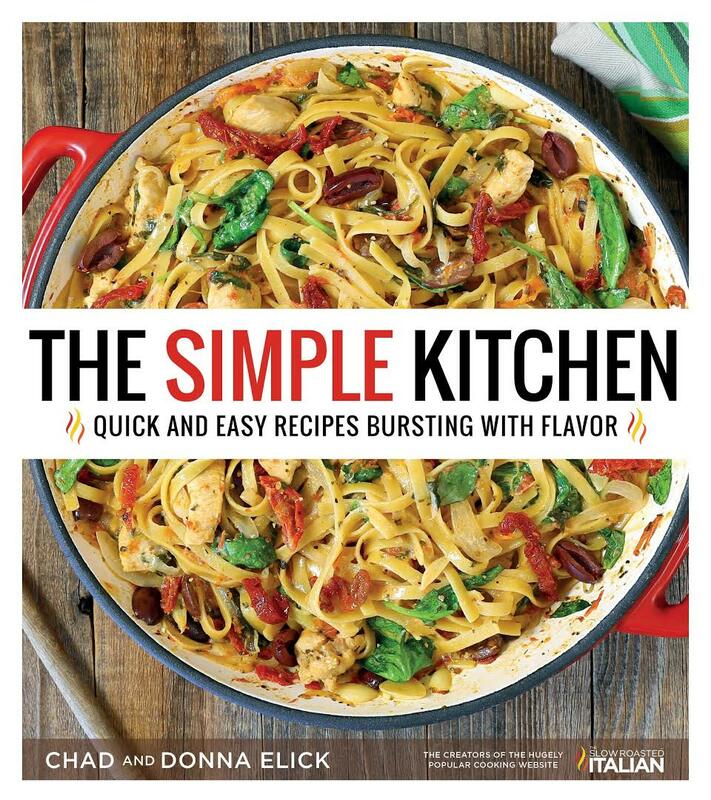 The Simple Kitchen cookbook is the perfect answer to the question, “what’s for dinner?” with incredible recipes for everyday meals. 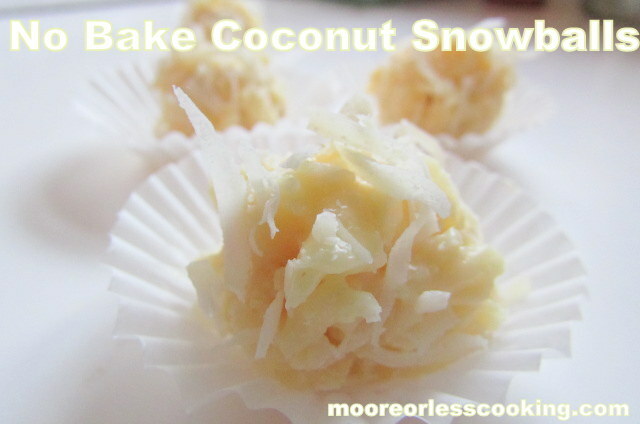 This cookbook is a life saver! More than 80 delicious recipes that come together in no time, that the whole family will love. 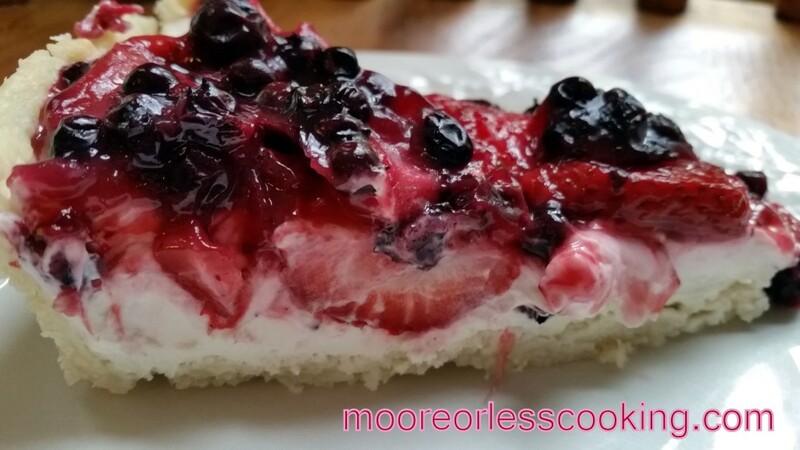 You will find Slow Cooked Meals, 30-Minute Meals, One Pot Meals, Easy Appetizers and scrumptious desserts. 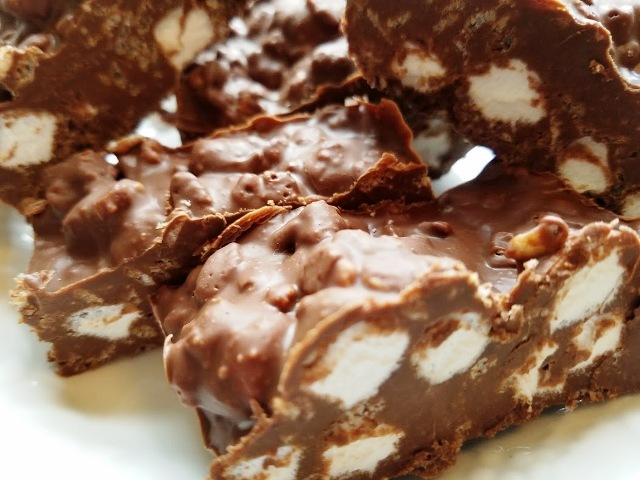 Chocolate, Peanut Butter and Marshmallow No-Bake Bars! in a microwave safe bowl, add all of the chocolate. Place in microwave. Heat at half power for 30 seconds at a time until heated and completely melted and smooth, stir after each interval. Add peanut butter to the warm chocolate until melted and smooth. Add marshmallows, rice cereal and salt, stir to combine. Place in freezer for 20 minutes. After solid, cut into bars. What is the amount of peanut butter in the jar? I remember my mother making something similar to this but not with peanut butter. The peanut butter amount is 26 ounces. Happy Holidays! 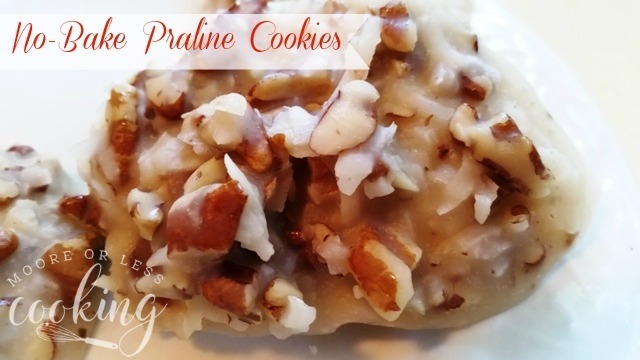 Do you think replacing the Almond Bark with chocolate chips would work in recipe? Thank You!